Buy The Melanin Gawddess a Coffee. 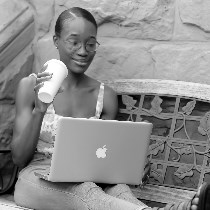 ko-fi.com/themelaningawddess - Ko-fi ❤️ Where creators get paid by fans, with a 'Buy Me a Coffee' button. 24 year old parenting, beauty, and fashion blogger from NYC. Aspiring writer & content creator. Mother of The Mini Melanin Gawddess. Secured Payments. Support goes to The Melanin Gawddess's account. Upgrade The Melanin Gawddess to a yearly Gold Membership with a one-time payment.